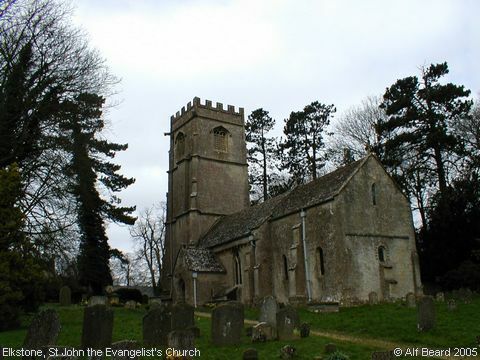 The church at Elkstone has the distinction of standing on higher ground than any other in the Cotswolds. It is also noted for an intact series of parish registers, which date back to 1592. The Rector between 1682 and 1725, one William Prior, was noted for quirky register entries. One of these is reputed to say “6th December 1704 was buried the stinking residue of William Gwylliams”. Image contributed by Alf Beard on 31st July 2005.